The original owners of Monte Bay were one of the first couples to buy a lot in this exclusive neighborhood so they chose one of the best lots, one with a picturesque waterfront setting and excellent privacy. Monte Bay is tucked into a really sweet location with the main house built just above the turquoise and azure waters of Monte Bay, and the guesthouse built just behind the main house. 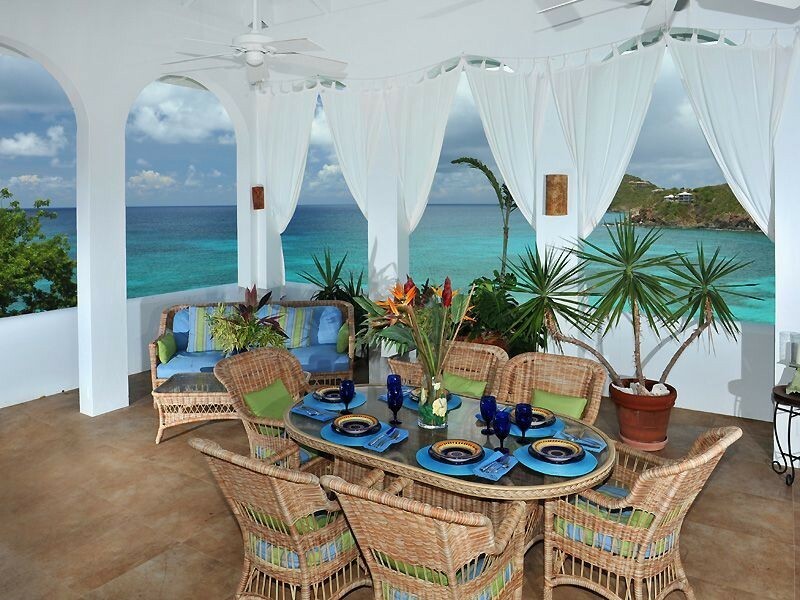 Both houses face south–southwest and are a sun lover’s dream with soft breezes and warm sunshine all day long. Monte is hidden from view from the private road that accesses Klein Bay, and there are no traffic noises or intrusions. A short walk takes you to a pebble beach for swimming and snorkeling and a 10-minute swim/snorkel brings you to the white sand beach at Ditliff Point. Both Ditliff Beach and Klein Bay are protected by Ditliff Peninsula, so the calm, crystal clear waters are sheltered from heavy surf and strong winds which makes this inviting for swimming, snorkeling, and kayaking. Monte Bay is a 10-15 minute drive from the groceries, restaurants and shops of Cruz Bay.